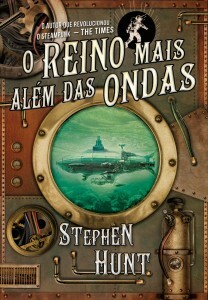 Just had word in that my Portuguese publisher, Emergency Exit (or Saída de Emergência if you are a local) are setting up an office in Brazil to tap into their rapidly growing demand for fantasy and science fiction novels – and The Court of the Air is going to be one of their major Brazilian launch titles. I’ll be in good company, as Saída de Emergência also publish George RR Martin, Clive Cussler, Bernard Cornwell and David Eddings among many others Western writers, as well as plenty of the local talent. The news of the big Saída de Emergência push has just been reported in more detail on SFcrowsnest. I’m Brazilian and I have to say: The Court of the Air is just amazing! I’ve finished reading the book this week and I already miss all the characters. Saída de Emergência is doing a great job with translation, also. Glad you’re enjoying it, Aline. Anything planned for new Jackelian books? Hooked me from 2008 or so. I’m pretty amazed to see it having choice of a ’12A’ rating here http://stephenhunt.net/novels/ considering some of the quite gory deaths in some of them, I guess the imaginary ratings board don’t care about crab people being squished to death in presses or whole cities being liquidised by aliens. Looking forward to a new series though, gave it a pre-order. For my next book, Jack, it’s going to be a televised death match between twenty school kids with only one survivor . . . because that has never been done before! « Jack Vance RIP – the Dying Earth loses its last citizen.